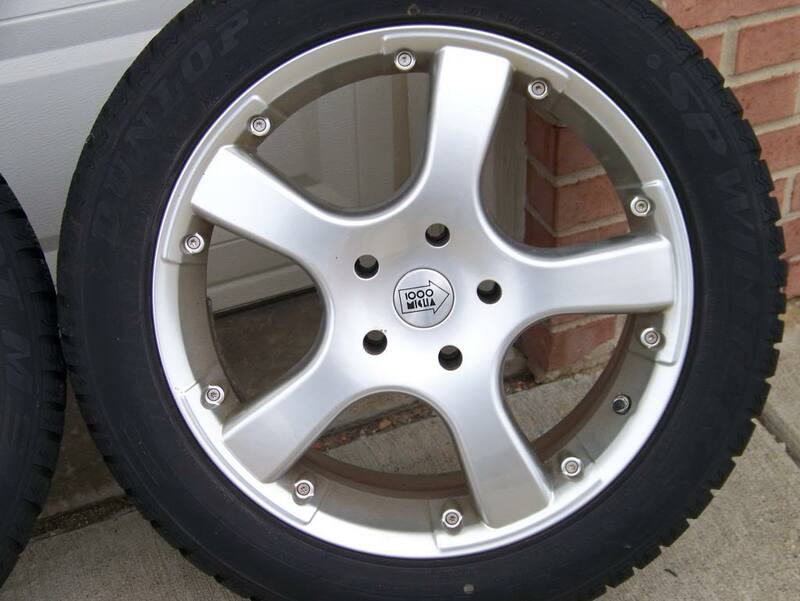 1 set of four Mille Miglia Evo 5 17x7" wheels with Dunlop Wintersport M3 225/50HR17 snow tires. Asking $300. 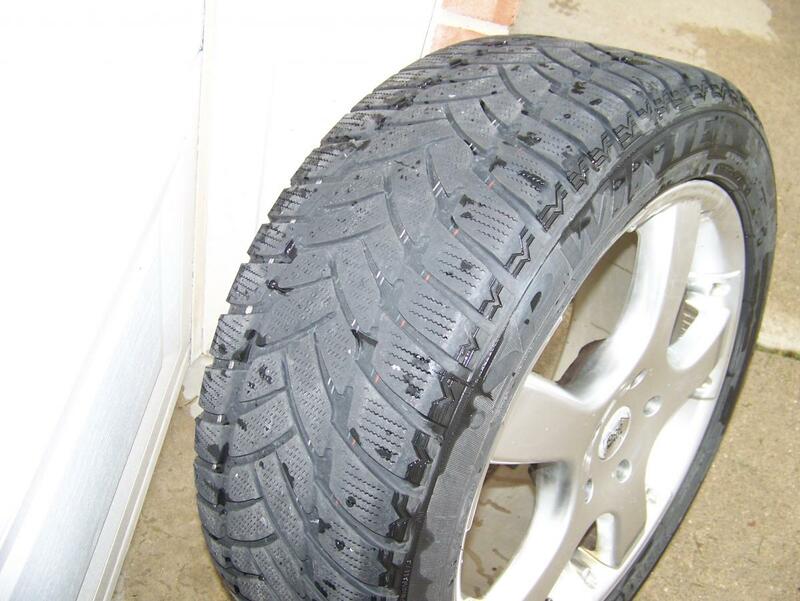 Purchased new from Tire Rack in October 2004, used for all winters since on my 2004 RX-8 Touring. I sold the car last spring, and I'm finally getting around to listing these. 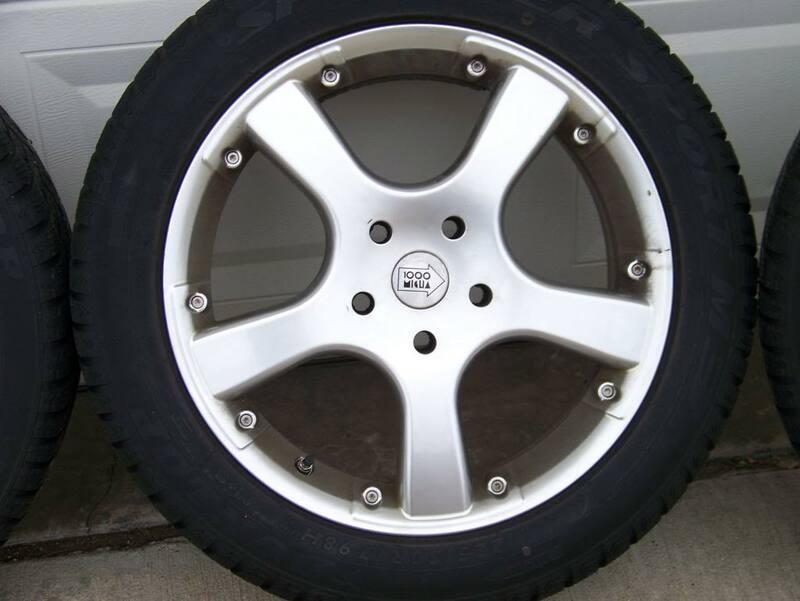 The wheels are 17x7", 5x114 bolt pattern, 45 mm offset. 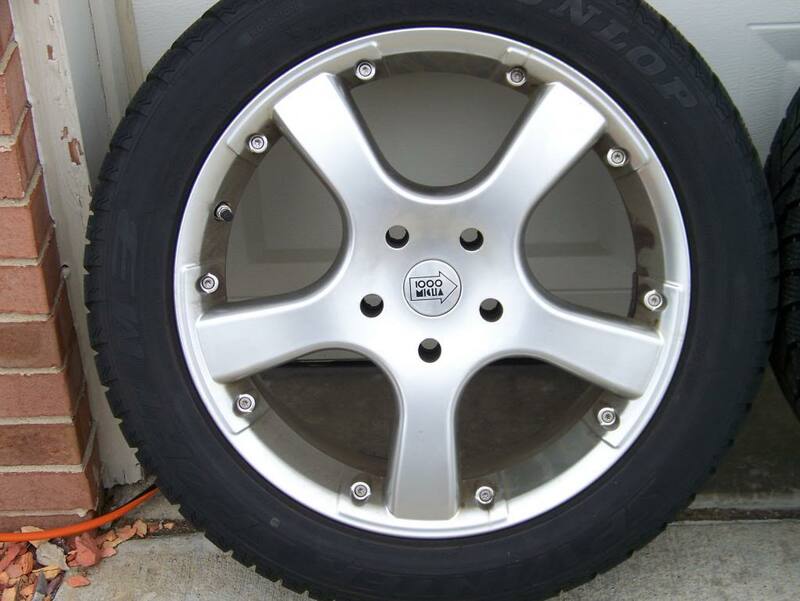 They fit over the brakes on my RX-8 with no problem. 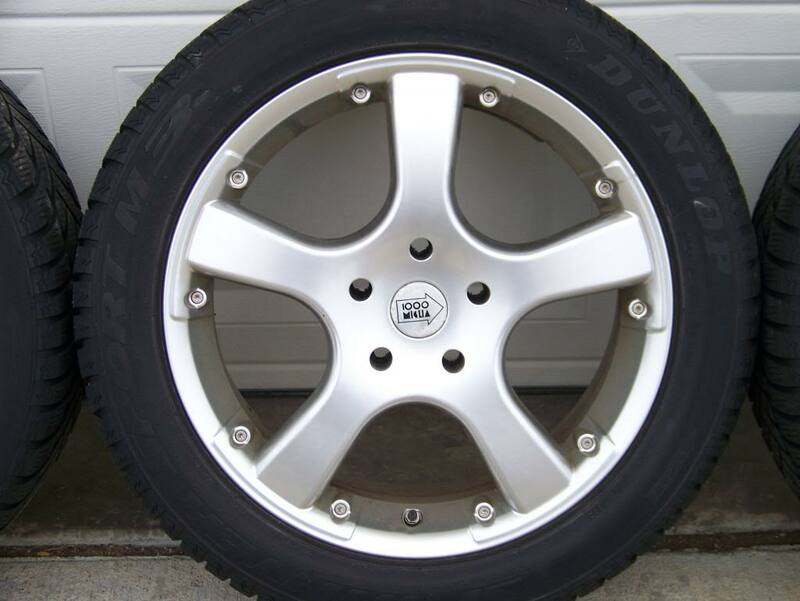 Normal wear, no curb rash. The tires have about 21k miles on them. 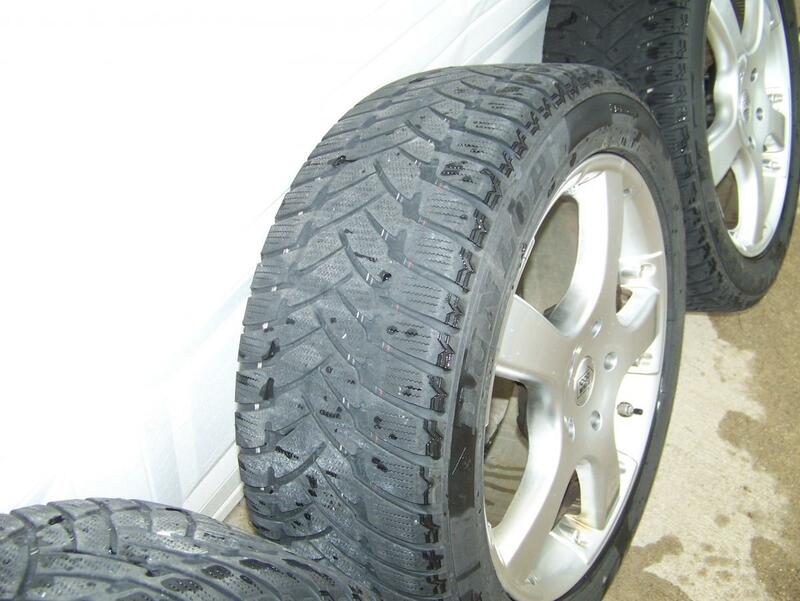 You might or might not be able to get another winter out of them. RX-8 compatible tire pressure monitors installed. Also includes a full set of 20 spline-drive lug nuts and tool. Wheels and tires are in Canton, MI. Local pickup preferred, but I will ship them if the buyer pays shipping. PM me or email joliver3-at-yahoo-dot-com if interested. Thanks for looking! 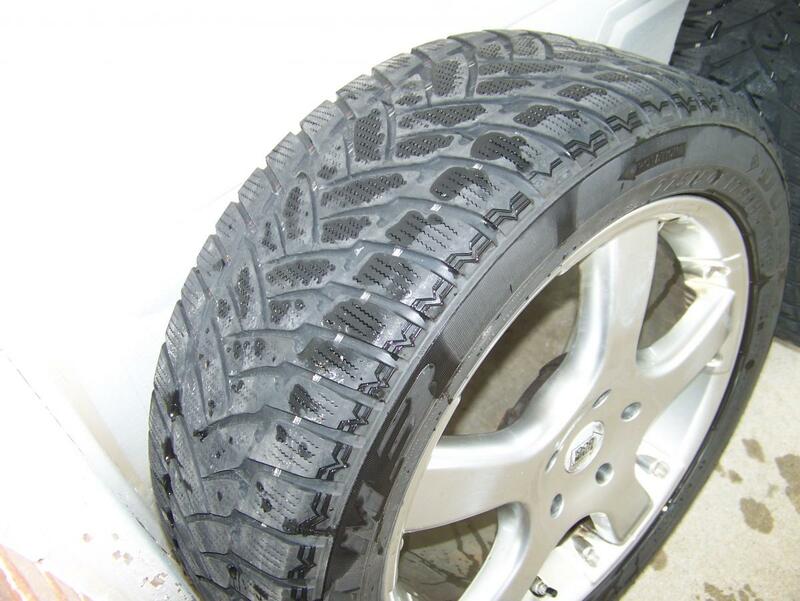 Some pics of the tires. I had just washed the wheels, so the tires were wet. Bump and price drop to $250! The snow has arrived in Michigan! 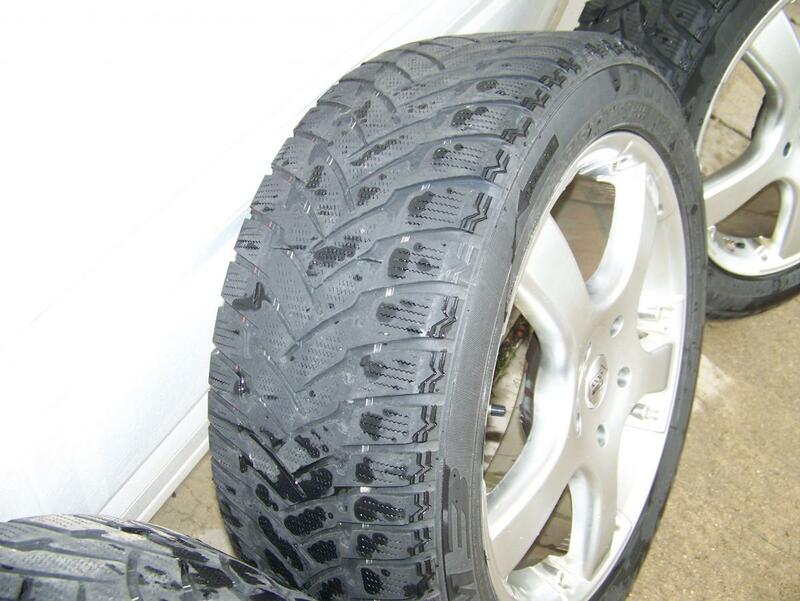 Did you wait too long to buy snow tires for your RX-8? Now's your chance!